Vacation doesn’t need to be synonymous with gluttony. 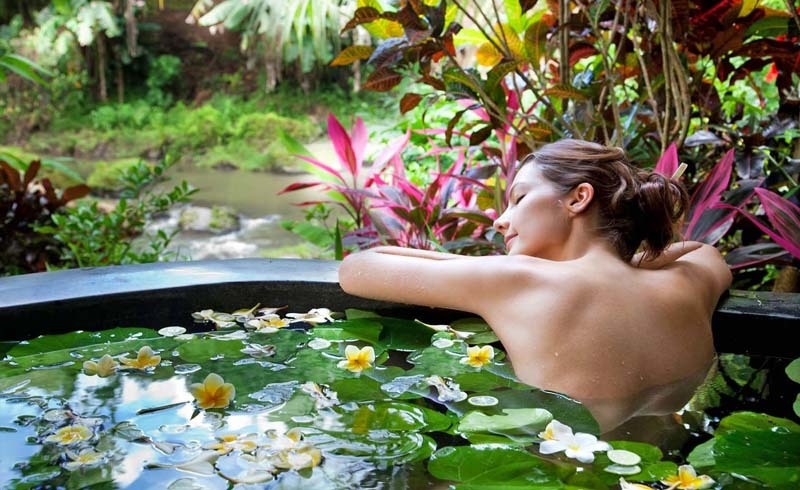 Indulge in health at these top wellness destinations around the world. For many travelers, vacation is synonymous with indulgence and taking a break from healthy routines. We diet and exercise for, not during our trips. Why else would all-you-can-eat cruise ship buffets exist? Not all vacations, though, have to result in an increased waistline. Some resorts have replaced the all-you-can-eat mentality with a how-healthy-can-you-be approach. These vacations can actually leave you feeling healthier after your trip than before. So pack your bags (your gym bag, too!) for a restorative break at one of these five wellness destinations. Dedicated to inspiring “life in balance,” Miraval Resort & Spa in Tuscon takes a “choose your own adventure” approach to a health and wellness vacation. Guests of this Arizona hotel can fill their days with fitness classes, tennis, yoga and meditation sessions, nutrition seminars, and emotional wellness classes; or simply kick back in the award-winning Life in Balance Spa. For adventurous travelers, Miraval offers a ropes course, mountain bikes, and zip lines, among its many outdoor challenge activities. Book a package that includes three nutritious meals a day at Miraval’s various indoor and outdoor dining spots, and sign up for a cooking class or two to learn how to continue the health kick at home. “Give us your body for a week, and we’ll give you back your mind,” says The BodyHoliday, an all-inclusive wellness resort in the Caribbean island of St. Lucia. This luxe destination offers fitness classes from yoga, to archery, to scuba; and has a world-class golf course for those who prefer the links. Other amenities include LeSPORT Wellness Centre spa, BodyScience personalized health programs, a skincare clinic, adventure programs, five on-property restaurants, and two bars. BodyHoliday even offers an “Island Quadrathalon” challenge — including mixed terrain biking, running, rappelling, and sea kayaking — for the really motivated guests. Just remember to take in the beautiful views of this Caribbean hotspot in between adventures! Nicaragua has been moving up our hot list of vacation destinations, and the Aqua Wellness Resort on the Emerald Coast might just bump this Central American country from a “must go” to a “must go now.” The eco-friendly property boasts an open-air yoga den for group and individual sessions; a pristine beach for kayaking, snorkeling, scuba diving, and paddle boarding; spa treatments; cooking classes (including a chocolate making class — yum! ); and a fun assortment of adventurous day trips. When you’re not exploring nearby volcanoes or participating in horseback rides and waterfall hikes, you can stroll right along Aqua’s beach to get a nighttime glimpse of bioluminescent algae! It’s a bit of a trek to get to Ananda, which is located in the foothills of the Himalayas, but the spa’s gorgeous remote location is part of the appeal. If your goal is relaxation, zen out in yoga and meditation classes, play a round at a six-hole golf course, join a nature walk (complete with optional guided meditation) or indulge in a treatment in the 24,000 square foot spa. Looking for more action? Head out on a white water rafting excursion or on a safari through Rajaji National Park. Fresh and natural food is available in Ananda’s restaurant, tea lounge, and poolside; or even in a private venue with a customized menu created just for you. Take advantage of the resort’s in-house nutrition counseling to learn which culinary delights are the healthiest choices for your body. If the idea of dropping your travel budget for the year on a week-long wellness retreat leaves you feeling, well, unwell, check out Pura Vida. This full-service Costa Rica resort provides fabulous amenities at more reasonable prices (double occupancy rates start at $115 per person). Pura Vida offers a casual buffet restaurant that caters to different dietary needs; a variety of massage and Ayurvedic treatments; fitness classes; and optional spiritual coaching. Guests can also sign up for tours that take you white water rafting, hiking to volcanoes and hot springs, and zip lining through the forest. 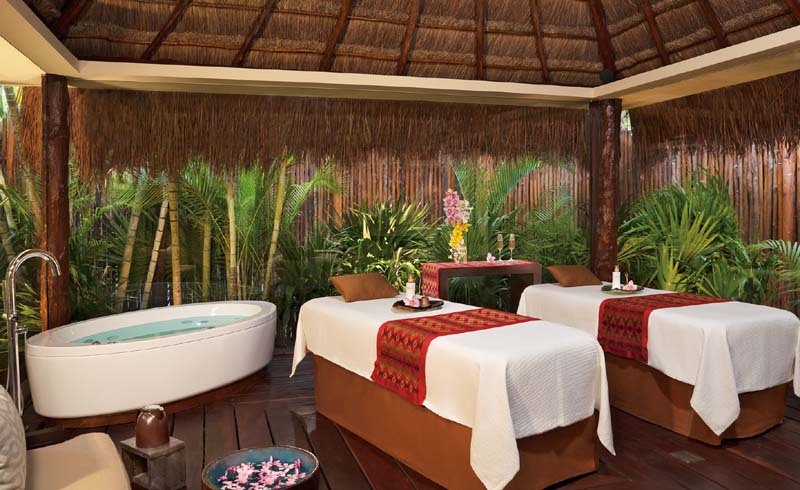 Do you have a favorite wellness destination not on our list? Let us know in the comments below!